Here is another installment for Day 84. 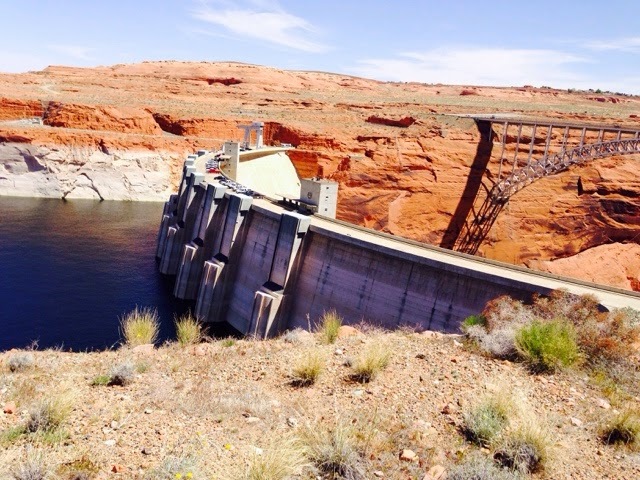 After leaving Upper Antelope Canyon I drove back over to Lake Powell and the Dam. When I came over it this am the son was too low for a goo picture. I was told by my tour guide this am that the Navajo Indian Nation owned the land where Page, AZ is now and the dam. The U.S. Government asked the Navajo's if they would build the dam and they declined. After some more discussions the land was given to the U.S. Government and they needed to build the town for the building and operation of the dam but no one wanted to come. The US Government decided to offer free land and no taxes to any church that would build a church. Build they did with about 14 churches being built and first settled by their families. They are all in a row on a bend in a row and offer much conversation by people that visit asking why so many churches in a row. Like the Hoover Dam many miles down stream you can CES the bleached rocks to where the high water mark is. Below the dam the Colorado River that runs through the Grand Canyon. 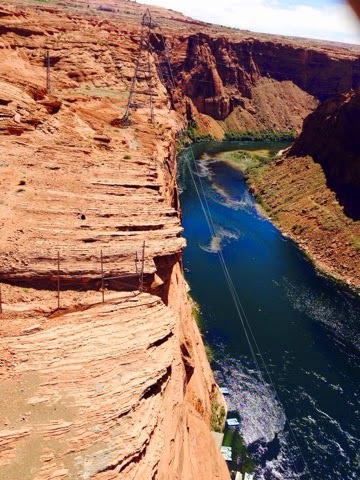 In the bottom left of the picture you can take a boat ride on the Colorado River down stream. You can go down to the Horseshoe Bend that I reviewed in the other blog for today. 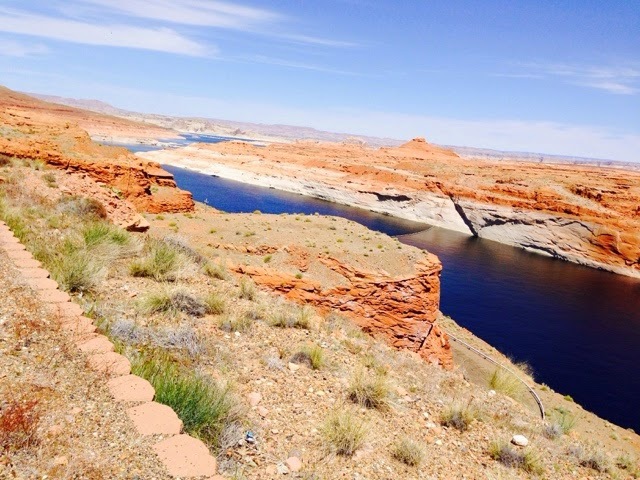 On Lake Powell you can also take a boat tour of the lake.